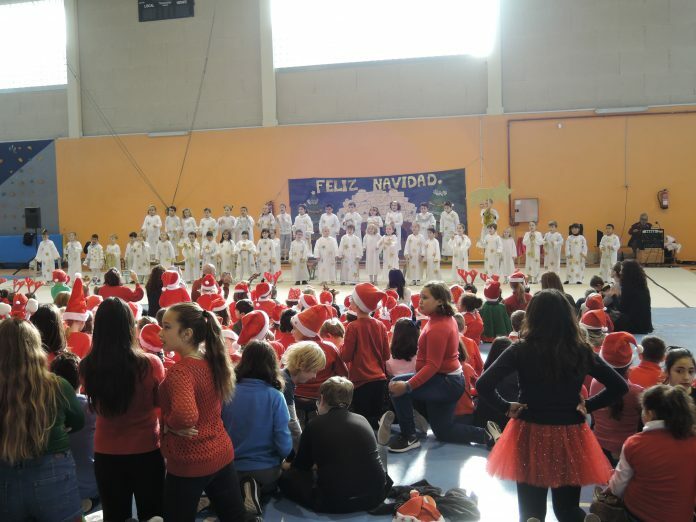 Mojácar’s Bartolomé Flores School held its traditional Christmas Carol Concert for over 360 of this year’s pupils, joined by their parents and friends. Over the last weeks, the schoolchildren and their teachers have been rehearsing and making costumes to prepare for their own special Christmas greetings event, in anticipation of the holiday ahead of them. The songs and staging had been individually chosen by the children, with a little necessary help and guidance from their teachers, especially as it always takes some youngsters a while to make up their minds! The youngest pupils then performed some favourites, featuring Rudolph and Santa Claus, followed by more singing and dancing to international Christmas tunes in English, greeted by loud applause and much excitement. Christmas is a magical moment, especially for the little ones, wherever they originate from and, Mojácar’s Bartolomé School is well known for bringing together 28 different nationalities into its classrooms where all the children learn to get along, study and face everyday challenges together. In addition, they have the chance to join together in the many extracurricular sports and cultural activities offered by their school and the local Council. Events such as this concert are another way of all having fun together as well as giving some surprises to parents and friends. All their hard work is to be congratulated, as they succeeded in filling Mojácar’s Sports Pavilion with music, dance as well as plenty of smiles, which is the most international language of course!